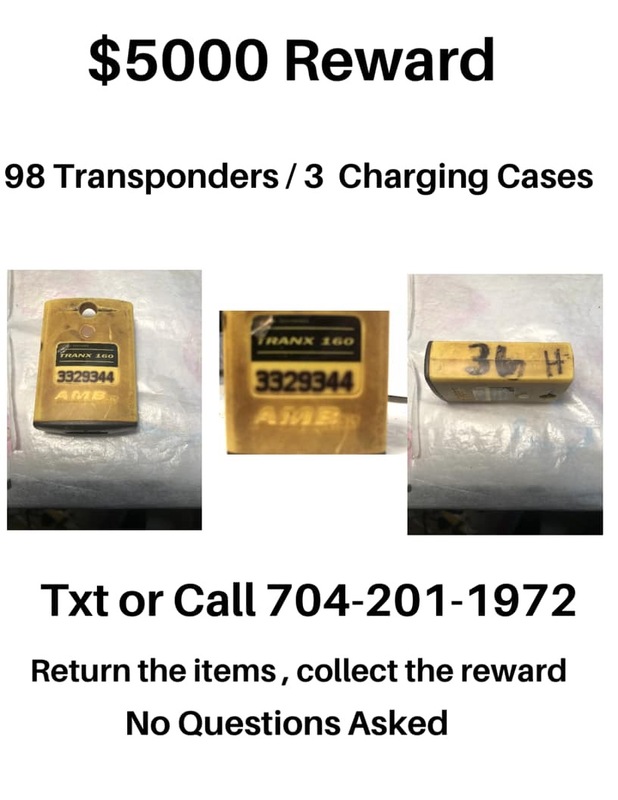 $5000 reward for Transponders (qty 99) Stolen from Hanging Rock Kartway in SC. At time of posting, Hanging Rock Kartway is offering a $5000 reward for the return of these. 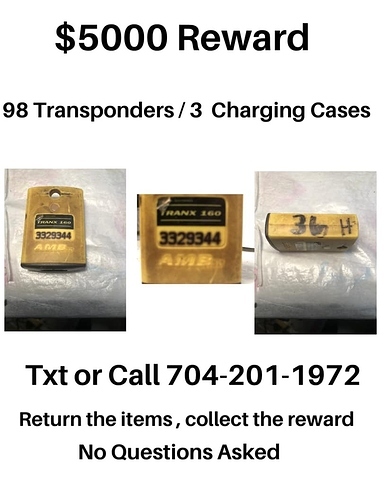 99 transponders and three charging cases were stolen from a home in SC belonging to Hanging Rock Kartway. The transponder numbers are listed below. AKTPA, Inc., Tim & Betsy Wilkerson will donate $250.00 to your reward Fund. Call our office at 317-501-3377. We are happy to help. @TJ_Halsema from MyLaps have kindly offered the track some loaner transponders in the meantime. Any transponder numbers they could share? I could easily see these being sold to unaware people on the used market. If someone had one they could help ID who they got it from. The longer number is the unique, encoded transponder serial number that the software “sees”. It’s also displayed on the outside.